Should Jewish Children Sing Christmas Carols? 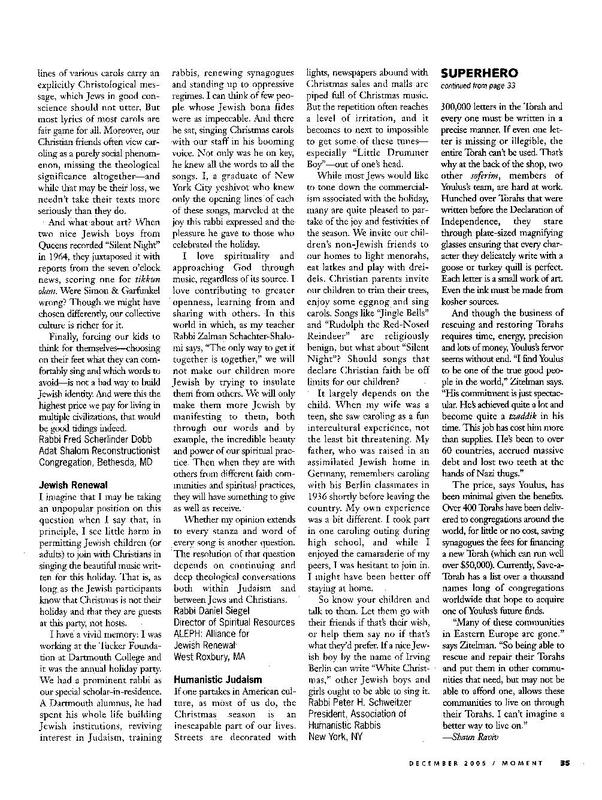 Home / Latest / Should Jewish Children Sing Christmas Carols? 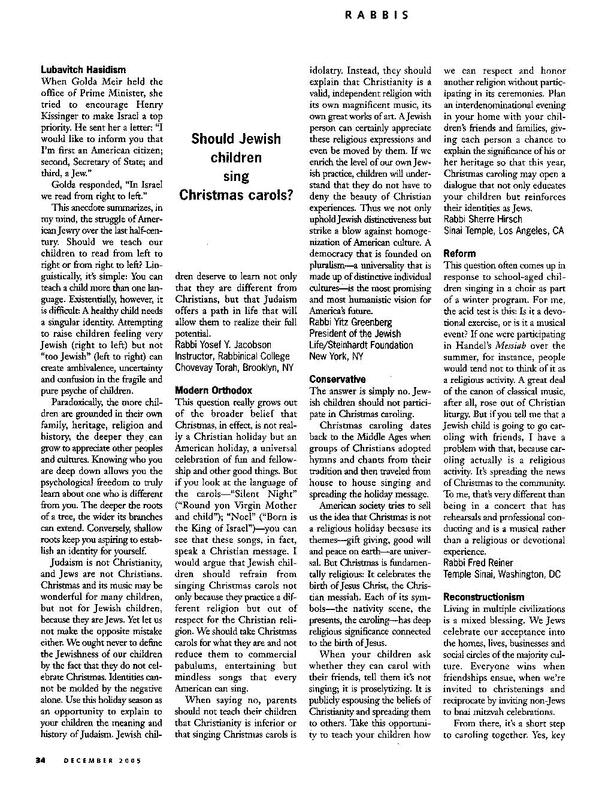 On Christmas Eve, take a look back at Moment’s 2005 “Ask the Rabbis” – Should Jewish Children Sing Christmas Carols?